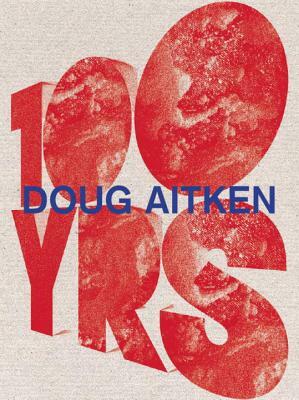 The most comprehensive book to date on the innovative multimedia artist Doug Aitken. Defying definitions of genre, Doug Aitken has explored every medium, from architecture and film to installations and interventions. While Aitken’s work varies in both theme and context, his installations share a common thread in their ability to use technology to evoke meaningful personal reactions from the viewer, encourage audience interaction, and inspire communal gatherings. His films often explore themes of displacement and temporality, and through his keen awareness of motion, sound, and color he creates dreamlike landscapes and the futurist aesthetic for which he has become known. This beautifully designed book features visual essays by the artist and surveys his work in all mediums. The monograph is organized thematically into the four most prevalent ideas connected with his work, inspires thought, and will leave readers examining their own relationship to the world around them. Doug Aitken is an award-winning American multimedia artist. Bice Curiger is curator of the Zürich Kunsthaus. Aaron Betsky is the director of the Cincinnati Art Museum. Kerry Brougher is chief curator at the Smithsonian Institution’s Hirshhorn Museum. Tim Griffin is director of the art collective The Kitchen.